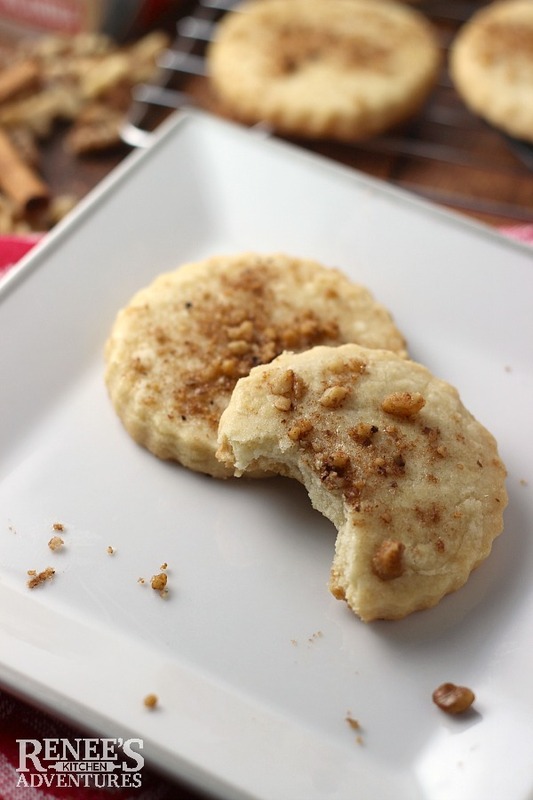 Rich and oh-so buttery Cinnamon Walnut Shortbread Cookies are the perfect addition to your holiday dessert table this year! Finlandia™ Premium Imported Butter takes these simple shortbread cookie recipe and elevates it to a new level! It's getting to be that time of the year! Time to start thinking about holiday baking. I usually sit down and make a "cookie menu" at the beginning of the season. This way, I'm sure to bake up batches of everyone's favorites. One cookie that is always on my list is some form of shortbread cookie. I am CRAZY for shortbread. Not only are they flaky and buttery, but they do not require a lot ingredients or skill to make. Since shortbread cookies are made with so few ingredients, it's very important to make sure the ingredients you use are quality ingredients for the best taste and texture. This year, I'm using Finlandia™ Premium Imported butter in all my holiday baking. This outstanding butter will take your cookies to a new level of deliciousness! There is a difference between butters. 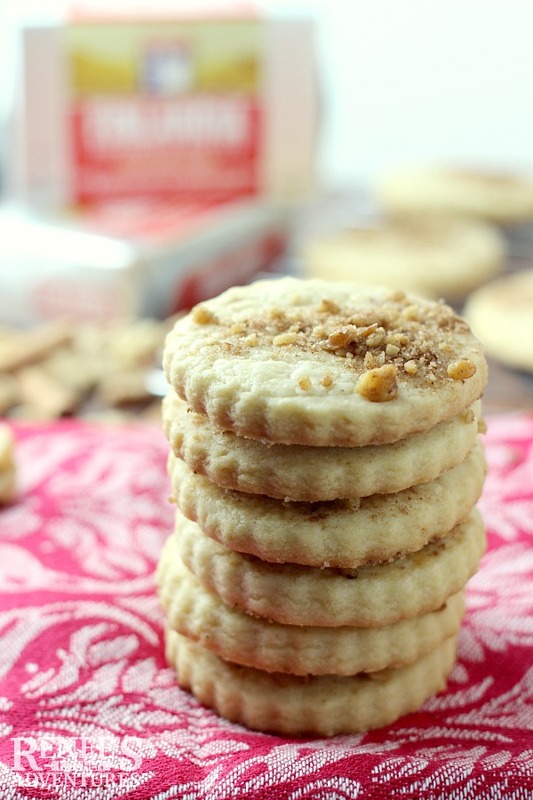 Finlandia™ has a pronounced buttery flavor with a very smooth and creamy texture and it makes these Cinnamon Walnut Shortbread Cookies AMAZING! These ended up being the BEST shortbread cookie I have made to date...and that is because I used Finlandia™! Finlandia™, best known for their legendary Swiss cheese, launched their premium butter here in the states in 2014. It's available in both salted and unsalted varieties. It's made from the purest milk from Finnish family-owned farms. Finlandia™ Premium Imported Butter has no added hormones or artificial ingredients. 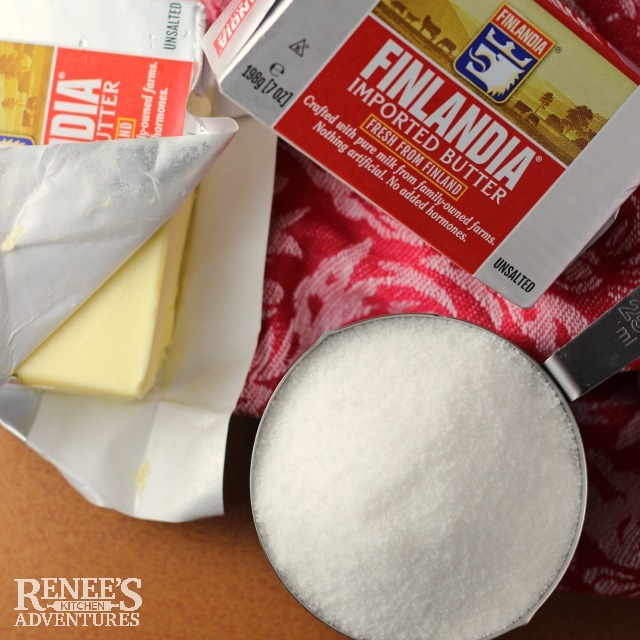 Finlandia™ knows dairy...they have been making cheese and butter in Finland for over 100 years! When you use Finlandia™ Premium Imported Butter in your baked goods and as a spread, you will notice a difference! Start making these cookies by whipping together room temperature unsalted Finlandia™ Premium Imported Butter with sugar with an electric mixer. Flour and salt are added and mixed until the dough comes together. Then, it's wrapped and chilled for 30 minutes. Next, it gets rolled out on a lightly floured surface and cut into shapes. (I used scalloped round cutters.) This dough was a pleasure to work with! 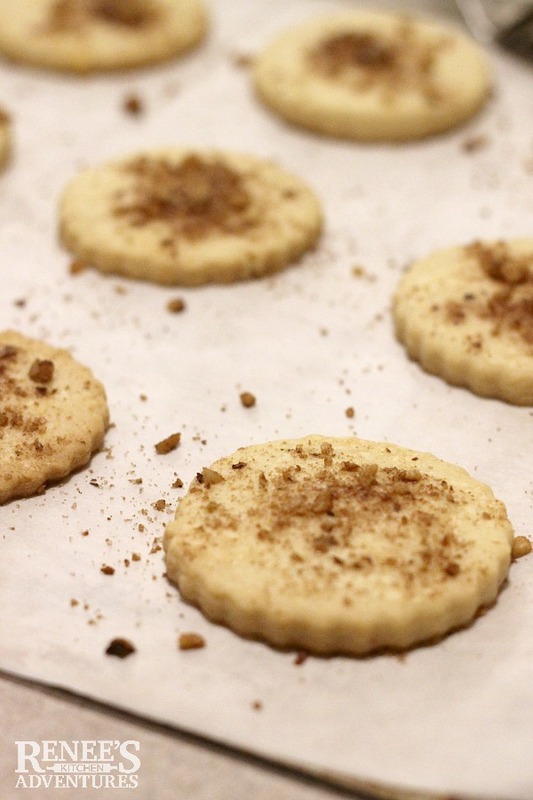 The tops of the unbaked cookies get a little egg white wash and then sprinkled with cinnamon, sugar, and chopped walnuts. They are baked for about 15 minutes or until set and golden on the edges. 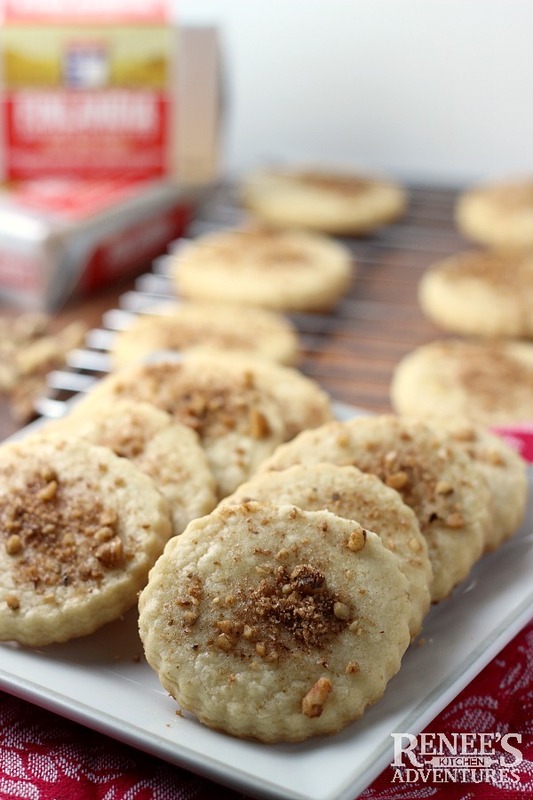 Flaky, buttery, melt-in-your-mouth cookies are what you get when you make these Cinnamon Walnut Shortbread Cookies with Finlandia™ Imported Premium Butter! Don't believe me? Pick up some Finlandia™ Imported Premium Butter in the diary section of your grocers today and give it a taste. I think you will see why baked goods made with Finlandia™ are in a class by themselves. Follow Finlandia™ on all their social channels! 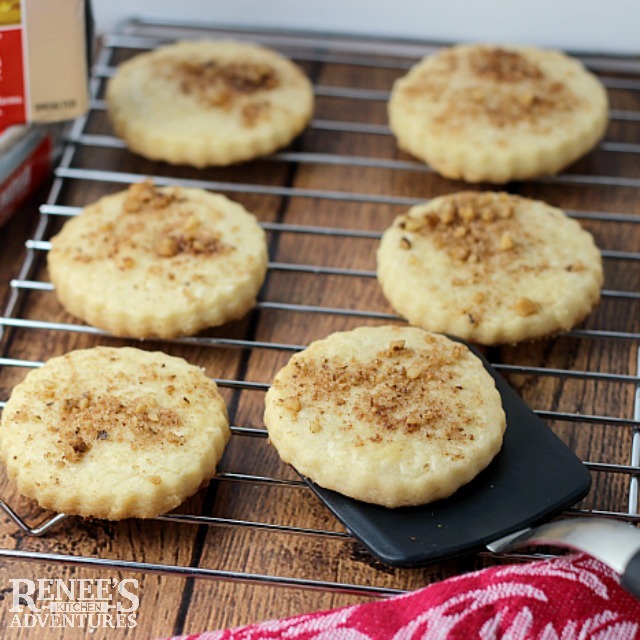 Rich buttery shortbread cookies are topped with a sugar, cinnamon and walnut mixture and baked up crisp! Preheat oven to 350 degrees F. Line cookie sheets with parchment or use a silicon baking liner. 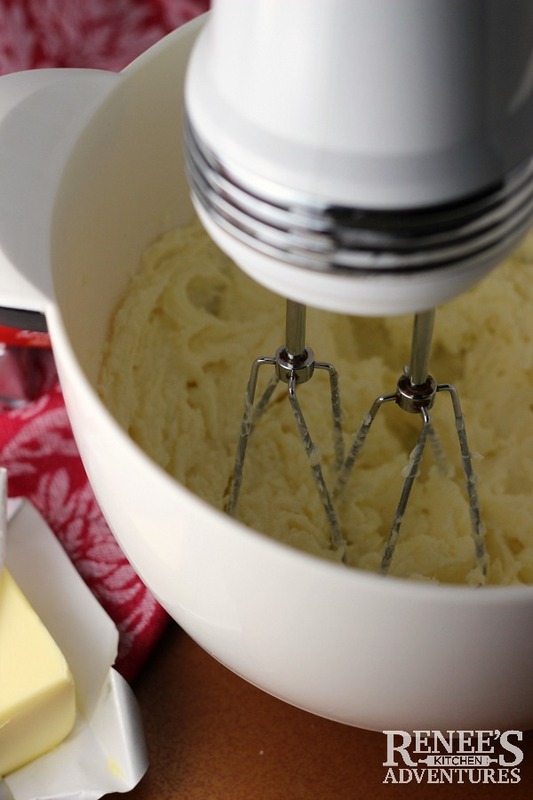 With electric mixer, combine unsalted Finlandia™ Imported Butter and 1 cup granulated sugar. Beat until light and fluffy. Add in flour and salt. Beat until dough comes together. Wrap in plastic wrap and refrigerate for about 30 minutes. Divide dough in half. On lightly floured surface, roll out one half of the dough to about 1/4" thickness. 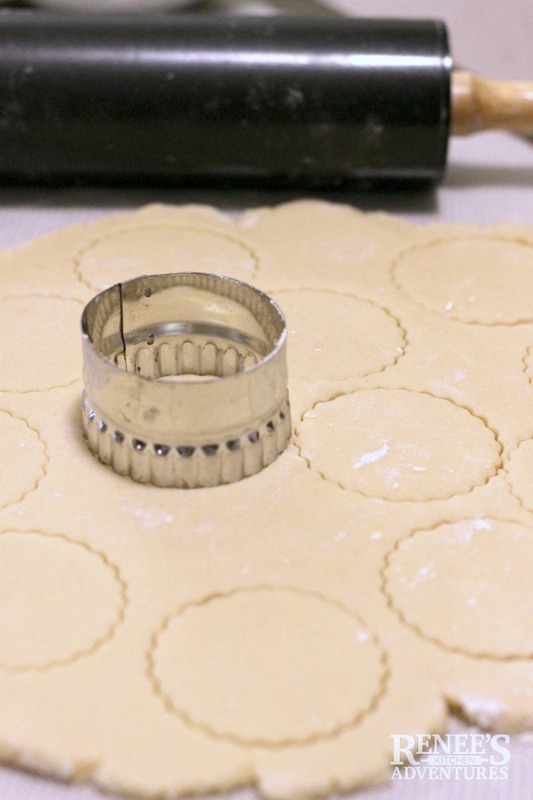 Use 3" cutters to cut into shapes. Place on prepared cookie sheet about 1" - 2" apart. In small bowl combine walnuts, 2 TBS granulated sugar, and cinnamon. Brush tops of cookies with a little egg white wash and then sprinkle with walnut mixture. Bake in oven for about 15 minutes, or until the cookies are set and the sides just start to brown. Remove from oven and allow to cool a few minutes on pan before removing to wire rack to cool completely. While cookies are baking, continue to roll out any scraps and remaining dough and repeating the process until all dough is used up. Store in airtight container. Baked cookies can be frozen. LOVE this recipe? Head over to Facebook and vote for me! I could win a trip to Finland!! Hi! I made these this weekend and they were great! However, I had a hard time with rolling out the dough (messy with the flour, dough sticking to the rolling pin, taking too long and the dough getting too warm, ugh!...my fault, not the recipe's) and wondered if instead it could just be rolled into a log and cut into slices? yes! You can absolutely make them that way!